In this post, you are going to learn how to use fenugreek to reduce stomach pain, help with ulcer, and reduce gastric issues in general. One of the main benefits of consuming fenugreek is helping with stomach problems; indeed it has been used for thousands of years by ancient cultures and even modern ones as a home remedy for stomach pain and discomforts. And the most important thing here is that it has been proven scientifically! And this is exactly what I’m going to share with you in this post, the right way you can use fenugreek in order to get rid of stomach issues ranging from pain, acidity, heartburn, to even ulcer, however, before attempting to do anything, you have to discuss fenugreek use with your doctor as it can interfere with some pharmaceutical compounds. 2.1 Can Fenugreek Cause Stomach Pain? Fenugreek lowers stomach pain and acidity fast, it helps with digestion issues and can reduce acid reflux and heartburn quickly. First of all, fenugreek is extremely rich in sopanin; these molecules are responsible for soothing the stomach and helping it heal by creating a protective film on its wall and preventing stomach acids from damaging it. Saponin are very beneficial for reducing stomach pain, this is the reason why both fenugreek and fennel seeds are used in traditional medicine for relieving stomach problems efficiently. This is not the only benefit of fenugreek when it comes to reducing stomach ache; fenugreek drink is a great antacid for example. Indeed, fenugreek possesses anti-secretory capabilities, in other words, it reduces acid production in your stomach which may lead in stomach pain. More importantly, as fenugreek contains powerful anti-inflammatory properties, it will help sooth stomach ache and discomforts rapidly. I will share with you in the next sections how much fenugreek you’ll need to reduce stomach pain rapidly and how to take it, but for now, just remember that fenugreek is going to lower acid secretion in your stomach which is the biggest contributor to stomach pain, and as we are going to discuss later on, fenugreek will reduce ulcer symptoms which are also very dangerous when it comes to stomach pain. The same mechanisms which help stomach pain and decrease stomach acidity are also very efficient at reducing heartburn. Indeed, there is a product called FenuLife which claims that it can reduce acid refluxes, heartburns, if taken before lunch and dinner. Fenugreek reduces acid refluxes and heartburns by reducing acid production in the stomach, I’m going to show you later on how much you need to take in order to have all these protective effects on your stomach and your whole digestive tract as well, but for now, just understand that fenugreek has been proven scientifically to be an excellent anti-acidic herb. Can Fenugreek Cause Stomach Pain? The answer is absolutely yes, the over consumption of fenugreek, because it contains high amounts of fiber can cause diarrhea and gas, which people mistakenly are going to associate with stomach pain. Apart from this, fenugreek does not cause stomach problems so to speak, in fact, it’s extremely beneficial for protecting this vital organ from acid refluxes and stomach wall damages due to its sopanins content. Fenugreek is proven scientifically to ease ulcer symptoms and reduce discomforts fast. There are many studies that prove the effectiveness of fenugreek seeds for ulcer symptoms’ relief, however, most of them are done on rats so, the human trials still awaits to be done, but the few ones we have available are very promising. This simply means that fenugreek is very rich in antioxidants which are going to protect your stomach wall and prevent further damages. Now, on paper, fenugreek is extremely beneficial for stomach ulcer, but unfortunately, most people still don’t know how to use it properly, they think that drinking some few cups of fenugreek seed on a daily basis is going to do their ulcer condition a lot of benefits, but this is simply not going to be very effective. In order to get the most out of fenugreek seeds, you need to consume them and in large amounts! However, don’t read this and think that you will need to consume many tablespoons on a daily basis; you don’t need to as fenugreek seeds are so powerful when it comes to ulcer. Of course, here, they are talking about fenugreek extracts which tend to be very powerful, in fact, taking 1000 milligrams of extracts for each kilogram of your weight is truly unrealistic, but many people have started to take just one teaspoon a day of ground fenugreek seeds before a large meal and this has helped them deal with ulcer pain and complications efficiently. The thing you need to understand is that fenugreek is not an ulcer medication, it’s not going to replace ulcer treatments, however, it can relieve ulcer lesions’ pain effectively if used on a daily basis and although more research need to be done on this subject, it seems to be extremely promising. And to tell you the truth, since I have started to use fenugreek on a daily basis, mostly by ingestion two teaspoons a day of ground fenugreek seeds in the morning, I enjoy more energy levels, excellent hair growth, and more importantly, extremely rare stomach issues. Of course, if you are suffering from ulcer, you should consult with your doctor before starting to use fenugreek seeds or fenugreek extracts as they may interfere with some pharmaceutical compounds you may be using for ulcer treatments. According to Wikipedia,” Antacids are a common treatment for mild to medium gastritis”. This is very important to understand because as mentioned before, fenugreek is very powerful when it comes to reducing the secretion of acids in your stomach. 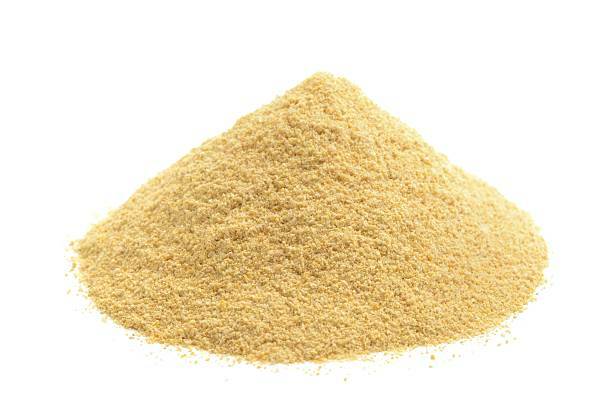 More importantly, fenugreek contains very powerful anti-inflammatory compounds which reduce pain and discomfort caused by gastritis, and this is the reason why people suffering from this gastric issue have found tremendous relief when taking fenugreek seeds, ground ones, especially before a large meal. So, the less fat you consume the better for your stomach problems. When fenugreek seeds are ground and ingested, they are going to create a protective layer in your stomach, this layer is made of molecules called saponin, these have got the same texture as soap, that is why their name sounds strange, and are going to help protect your stomach from acidity and damages. So, fenugreek is going to reduce stomach inflammations, also known as gastric inflammations, heart burns, and refluxes greatly. More importantly, as mentioned before, fenugreek is going to lower stomach acid production, which is very important for digestion since a lot of people are going to suffer from acid refluxes because of too much acid production! This does not only hinder digestion, but it’s also causes heart burns and many other digestive problems, especially after consuming a fatty meal. This is also another benefit of fenugreek for digestion, it’s the fact that it’s very high in antioxidants, these have been shown to be very protective against “lipid peroxidation”. As mentioned before, if you have digestive problems, consuming one teaspoon of ground fenugreek seeds before a large meal may help tremendously, more importantly, by lowering fat content in your diet, especially saturated and trans fats, your stomach is going to produce less acid which is going to result in lower reflexes and better digestion. 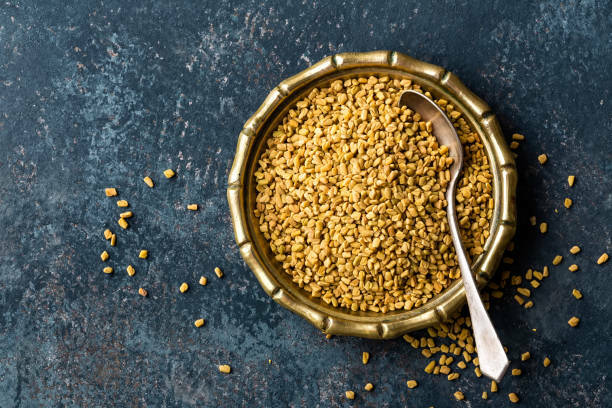 According to Pandian RS et al, fenugreek’s anti-secretory action will help lower stomach acids which will result in better digestion and more importantly, lower acid reflexes. This is one of the most important reasons why fenugreek has been recommended for treating stomach issues, especially when it comes to digestion, it simply is going to reduce secretion of acids and other powerful stomach fluids which are going to cause more reflexes and discomforts during digestion. So, if you are susceptible to having heart burns, then the best way for you to deal with them is to consume half to one teaspoon of ground fenugreek seeds before each meal. This is going to help you deal with these issues efficiently, it’s also going to help you clean your body and detoxify your system naturally as fenugreek is very high in soluble fiber. Fenugreek is also going to help with high acidity levels in your stomach, which are the main causes of heart burn and acid reflexes. Fenugreek is extremely rich in anti-inflammatory and anti-bacterial compounds, and as most of you already know, an upset stomach is mainly caused by too many harmful bacteria in the intestines! By consuming fenugreek, you are going to help your body get rid of these harmful organisms. Fenugreek is also very helpful for soothing stomach pain because of saponin binding and protective effects on the stomach wall and intestines. So, whenever you are suffering from an upset stomach, take one teaspoon of ground fenugreek seeds with at least a large glass of water. Just swallow without chewing, of course, with a large glass of water. Many people suspect that fenugreek causes gas issues, this is partially true because fenugreek is also very rich in dietary fiber, however, what most people don’t know is that fenugreek can also treat bloating. It’s because, as you are going to find out shortly, fenugreek works at cleansing your body of harmful bacteria and more importantly, because of its fiber content, it’s going to reduce constipation and increase natural bowel movements which reduces gas and bloating. One of the best remedies for constipation is consuming fenugreek seeds, more precisely ground fenugreek seeds. The fiber content in fenugreek is very helpful for soothing the stomach and healing it, they are also extremely helpful for getting rid of constipation. There are two main benefits of dietary fibers, the first one is in helping the food circulate in the digestive tract easily and smoothly, the second and probably the most important one is getting engorged with liquid. When dietary fibers get engorged with liquid, water, they are going to absorb toxins in your intestines, and also help detoxify your body. This will also soften stool and ease their passage out, which will result in frequent bowel movement. And to just give you an idea of the amount of fiber in fenugreek, one tablespoon, which is about 11 grams, contains roughly 10% of your daily requirements of fiber, which is very abundant. Of course, relaying just on fenugreek for your fiber intake is not healthy, you should add more sources to your diet, such as grains and seeds, the best in my opinion is whole wheat bread. So, if you have to take only one advice from this post, it should be this one: replace all white bread with whole wheat bread. Because fenugreek is very rich in dietary fibers , anti-inflammatory and antibacterial compounds, it’s going to help get rid of harmful bacteria in your gut, which is going to free resources for your helpful gut flora to develop and start helping your system and helping your immune system getting stronger and healthier. Although most people are not aware of this, but harmful germs and bacteria in your stomach and intestines can be very dangerous for not only your digestion, but are also responsible for causing ulcers. In fact, the bacterium Helicobacter pylori (H. pylori) has been long associated with this stomach problem and because fenugreek contains compounds that are going to help you produce less acids in your stomach, it can act as powerful ulcer relief. If you are suffering from low appetite or having troubles eating lately, then drinking fenugreek tea is going to help you dramatically. It’s going to get rid of the “fullness feeling” almost immediately and your appetite is going to get stronger day after day. If you have a question related to fenugreek use for stomach problems, please post it in a comment, and I will answer it as soon as possible. It is best to prevent health problem in the early stage. How long should I be taking funugreek to help heal my stomach ulcer? You should change your diet, less fat and more whole grains, that’s what will help you the most. Fenugreek should help alleviates the burning issue since it contains Saponins which are excellent for your stomach. For people whose stomach produces less acid particularly those who have undergone partial gastrectomy operation Fenugreek seeds or Fenugreek powder will produce enough acid in the stomach which will definitely improve digestion and thus gives relief from heart burn ,constipation ect. which are the result of low acid causing a major health problem known as Irritable Bowel Syndrome (IBS).So Fenugreek will cure IBS effectively. Thanks a lot for the advice, I’m sure it will help a lot of readers. It’s not just a matter of taking fenugreek alone, you need to give your stomach a chance to recover, the most important thing to do is to avoid fatty foods as much as possible, try to also steer away from meat, poultry, dairy and fish, this has helped me a lot with my stomach issues. As far as fenugreek is concerned, one teaspoon a day, ground, after breakfast will help the most.